In the last five years, Lyft, Uber, OLA and many other bikesharing services–Citibike, LimeBike, Mobike, Motivate, Spin, Ofo and many others–have given city dwellers several options to move around the city. It is not just metropolises that benefit from ridesharing, according to a report from Shared-Use Mobility Center. Small cities also gain advantages like linking up nearby cities, helping low-income neighbors and alleviating congestions and pollution as it significantly cuts down car ownership. Both bikesharing and ridesharing have advantages that are different from each other, but despite the disparities, they share a very common denominator. The services are achieving huge successes and their demands are continuing to grow each year. The city of Hangzhou, China, for instance, has the world’s largest bikeshare program and no other bike share comes close to its estimated 66,500 to 78,000 bikes dispersed in 2,700 stations. Other places that have a huge bikeshare programs are Spain, France, Canada and other parts of China. According to experts, both schemes became two of the most used and innovative services around the globe, which is why combining them would allow the industry of shared mobility to create a bold impact not just on businesses but on how people are able to cost effectively navigate cities. Two companies that are leading the way in linking the popular systems are Uber and Lyft. Uber is a well-known company that has a mobile and web-based application. It lets people explore, locate, and book cabs. Uber caters a peer-to-peer ridesharing system. In a recent report, Uber is going to partner up with a startup company called JUMP in order to launch a bikesharing service. The joint venture will see 250 electric bikes to roam around the streets of San Francisco. These e-bikes do not require any docking stations. A rider will get the chance to book an Uber Bike using the company’s very own application. Users who wish to ride the e-bikes must proceed to the exact location of the bicycles. 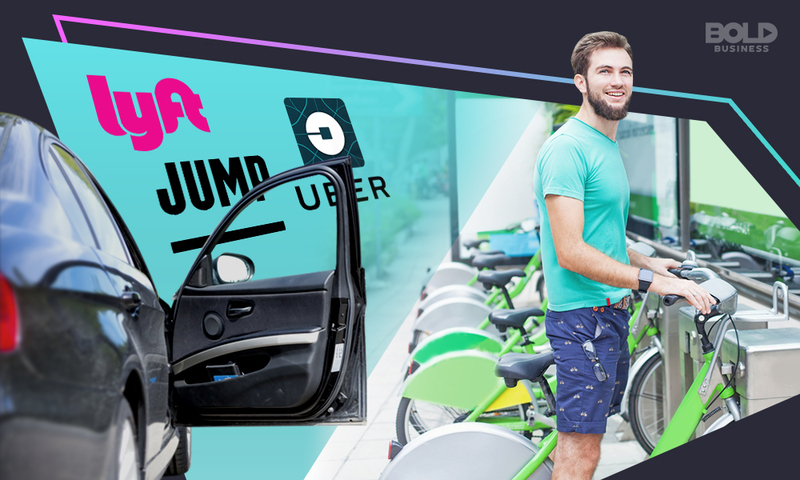 The Head of Transportation Policy and Research of Uber, Andrew Salzberg believed that they made a wise decision of connecting with JUMP, especially now that the startup bikesharing company has locked in $10 million for its service. Another corporation that wants to innovate the industry of shared mobility is Lyft. The California-based transportation network company is famous for allowing people to share rides with their family and peers, but it is now gearing up for a bigger role. Just like Uber, Lyft is going to collaborate with a bicycle sharing system called Baltimore Bike Share. They will present bike sharing hubs and hybrid pickup points throughout the city of Maryland. The purpose of the partnership is to give commuters a free will to switch transportation methods. It is also expected that the applications of both Lyft and Baltimore bikeshare will be unified. Ola – Ola is a ridesharing company in Bengaluru, Karnataka that has a mobile and web-based application, allowing users to search and book for cab rides. Bhavish Aggarwal is the Co-Founder and CEO of the company. It was established in 2011 and now has a projected revenue of $150 million. The ridesharing startup ventured into the world of bikesharing and developed the service called Ola Pedal. Grab – Headed by Anthony Tan, the renowned Singapore-based company also has a mobile and web-based application that lets people search and book for cab rides. The startup company has a projected revenue of $222.5 million. Grab has recently invested in a bikesharing company called oBike. 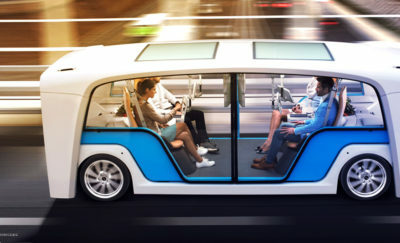 The partnership among the companies in the shared mobility industry would not be able to make a connection without their respective applications. 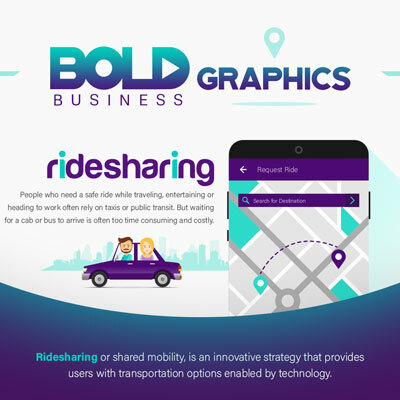 These applications are very important to the services of both ridesharing and biking, which is why an innovative application that features all ridesharing and bikesharing companies, might come in handy. Whipster is one of the newest third-party application that is going to level the playing field for all the transportation services. Russel Olinger, the Founder, and CEO of Whipster said the application has the ability to compare prices and rates for shared mobility such as bikeshares and rideshares across 400 cities in North America. The third-party application could be like the commuter’s one stop shop for booking either a rideshare or a bikeshare. GoA2B is also an all-in-one application that caters the growing industry of ridesharing. 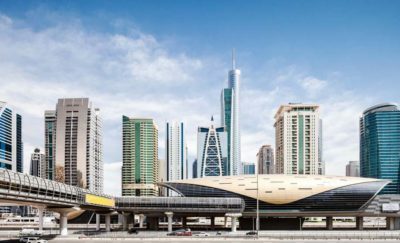 The newly developed application has the ability to compare the ride prices and monitors the driver’s ETA. It gathers the information from well-known ride providers such as Lyft, Gett, Fasten, Uber and many more. Another one is RideGuru, a Massachusetts-based company that is becoming famous for a lot of people who want a ride-sharing, ride-hailing, or a limousine service. It also has a comparison tool for prices. With innovation and technology just around the corner, people are now starting to see ridesharing companies collaborating with bikesharing firms. This act will surely disrupt the society’s way of living and it will bring the industry of shared mobility to its prime.